KIRBY ROSPLOCK, PHD, is founder and CEO of Tamarind Partners, a consulting firm that advises family offices, ultra-high-net-worth investors, and the wealth management industry. She is a researcher, scholar, educator, and well-respected speaker around the globe on family wealth, family office, and family business. 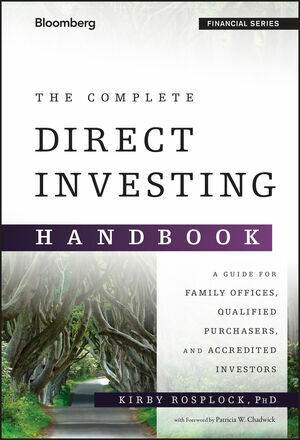 She is also the author of The Complete Family Office Handbook. For more on Dr. Rosplock and Tamarind Partners, visit www.TamarindPartners.com.